When babies teeth, it can be really difficult for everyone. Teething can be really painful. Grumpy baby equals grumpy parent. It can make looking after your baby a tough job. Or at least tougher than normal. 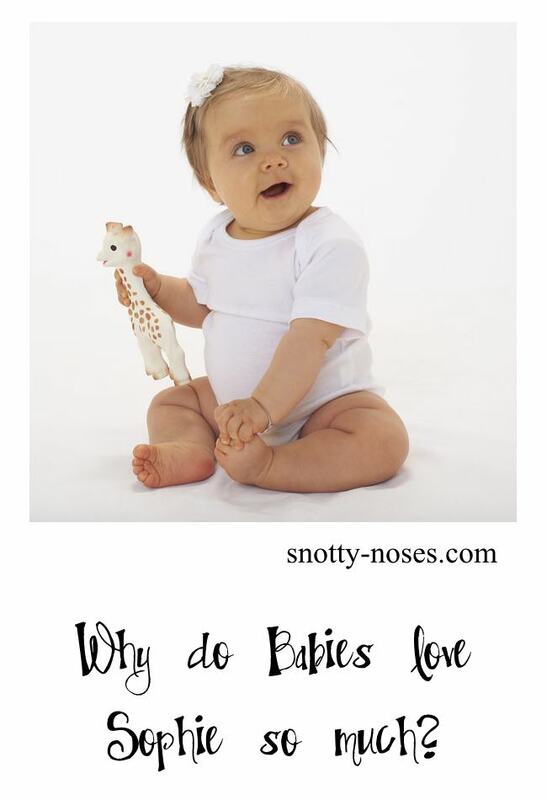 There are many things that you can do to help relieve your baby’s teething but one of the most popular toys these days in Sophie la Girafe. A few months ago, I received an email from Sophie la Girafe asking me if I'd do a short video to explain how Sophie stimulates the 5 senses. (OK, not actually from Sophie herself but you know what I mean.) I was honoured and excited. My babies LOVE Sophie and I knew I wouldn't have any problems extolling her virtues. The good folks at Vulli used to make lots of other animals like Sophie but Sophie’s lights always shone the brightest. They did some tests to find out why and discovered it’s because she appeals to all five sense. Sight she has vivid black eyes and a long neck. Babies like bright colours and geographical shapes. Touch she is soft to touch as she’s made out of latex. She’s also good to chew. Sound she has a familiar squeak that babies love. Taste she’s fine to put in your mouth as natural latex isn’t toxic. Smell she smells of natural latex. Check out the video I made to learn more about Sophie la Girafe. I know my twins and niece all loved their Sophie toys and it appears that they aren’t alone. You can get your Sophie Giraffe or Sophie Teether from amazon.co.uk via these affiliate links. (Or from the USA Sophie the Giraffe or Sophie Teether).